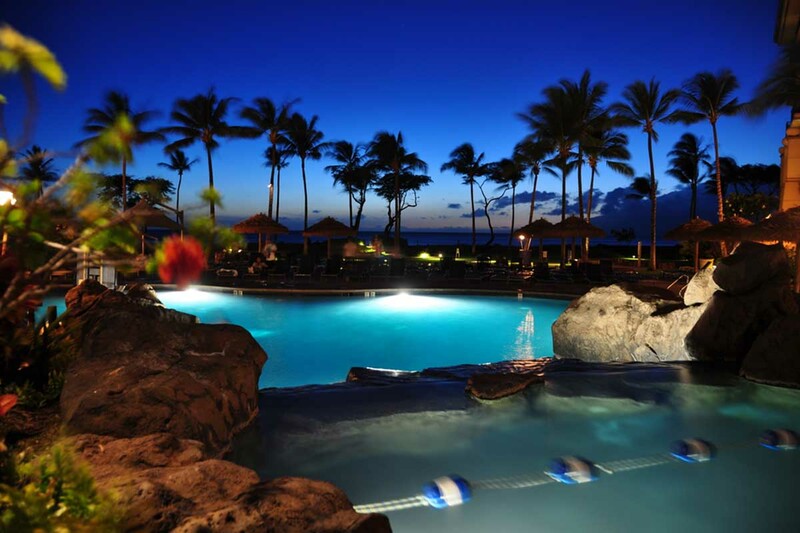 A contingent of Michigan Republican lawmakers were invited by a California group to a weekend at the oceanfront Westin Hapuna Beach Resort on the Island of Hawaii in August. Several weeks later, Republicans sponsored bills that would change how the state’s presidential votes are counted, measures favored by the groups putting on the trip to Hawaii. 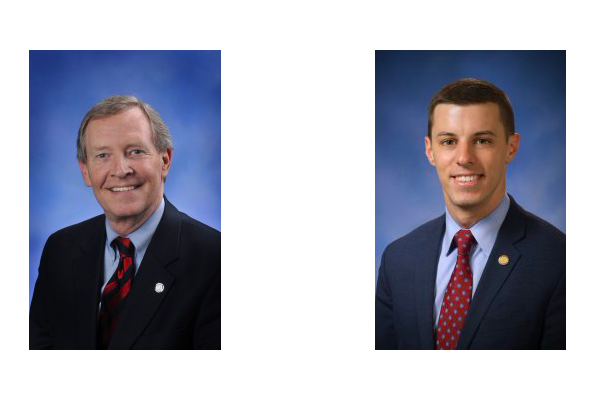 LANSING — More than 20 Michigan Republican lawmakers traveled to Hawaii, Puerto Rico and other vacation spots in the past two years where, on one day, they attended a seminar sponsored by a California group pushing to change how Michigan awards its electoral votes for president. In September, weeks after several flew to Hawaii, GOP lawmakers introduced bills supporting the effort to decide U.S. presidential contests by a national popular vote. At least one primary bill sponsor, Rep. Tim Kelly, a Republican from Saginaw, attended the seminar in Hawaii, at the Westin Hapuna Beach Resort. Rep. Lee Chatfield, a high-ranking House Republican from Levering, also attended that seminar. Meanwhile, the top Senate Republican, Majority Leader Arlan Meekhof, participated in a 2017 trip to Puerto Rico. The trips are unusual because they preceded GOP-sponsored bills on issues that were previously backed most heavily by Democrats. Rep. Tim Kelly, a Republican from Saginaw, and Rep. Lee Chatfield, a high-ranking House Republican from Levering, attended the August trip to Hawaii. They are also notable because lawmakers did not disclose the trips, nor who paid for their travel. And it’s all legal. That’s because under Michigan law, public officials and trip sponsors are not required to report the acceptance of trips if the group sponsoring the event is not a registered lobbyist. The California-based Institute for Research on Presidential Elections, which sponsored the “popular vote” trips, is not listed as a registered lobbyist in Michigan. It says it simply presented lawmakers with “educational” information on the issue, not lobbying. Gary Wolfram, a Hillsdale College professor of economics and public policy who also participated in the Hawaii seminar and supports the national popular vote legislation, defended the getaways, saying offering a seminar in Hawaii was a “relatively inexpensive way” to get about 20 Michigan lawmakers together to discuss a topic. “I knew that there would be a whole group of legislators there in one spot where you could say, ‘Hey, this is the right thing to do,’” Wolfram said of the event. “My concerns were addressed with individuals with in-depth knowledge of the issue. It is a positive step forward for our democracy,” Maturen wrote, adding there was no “quid pro quo” for his support. Government ethics experts and even some Michigan Republicans take a less charitable view, contending that public officials ought to be more transparent about accepting travel from groups trying to influence them. One prominent Republican said the travel, followed by the introduction of bills favorable to the sponsor, was not a good look for the party in an election year. Little information has been made public about the seminars. The trips first came to light in September when a conservative blogger wrote that two GOP lawmakers, the primary bill sponsors ‒ Kelly and Sen. David Hildenbrand, of Lowell ‒ may have attended the seminar in Hawaii. Subsequently, the Michigan Campaign Finance Network (MCFN) received an unverified list of 18 lawmakers said to have attended the August trip to Hawaii. MCFN and Bridge Magazine interviewed more than two dozen people, including lawmakers and others with knowledge of the trips, for this report. We are only naming those lawmakers we could independently confirm took the trip. 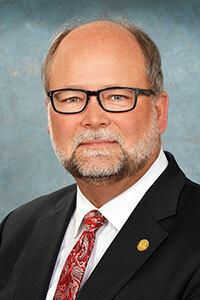 Republican Senate Majority Leader Arlan Meekhof participated in a 2017 trip to Puerto Rico to hear about the “popular vote” movement for presidential elections. The California-based Institute for Research on Presidential Elections asked seminar participants to stay quiet about who participated in seminars, according to an email sent by the group. The institute is listed as a charity that works to “educate the public regarding its proposal to implement a national popular vote election of the president,” according to its 2016 federal tax filing. Asked about the rule, Ray Haynes, president and CEO of the group, said while the seminars are not secret, the rule is meant to allow for free and open discussion at the meetings without fear those conversations will become public. “IRPE’s day long seminars are no different than any of the educational efforts conducted by other organizations across the political spectrum,” Haynes said in an emailed statement. The presentations “enable decision makers, opinion leaders and newsmakers to learn about a topic without the day to day distractions of their offices,” he added. While the institute itself doesn’t lobby, a sister nonprofit, the National Popular Vote, is registered to lobby in Michigan. It urges lawmakers to advance pro-popular vote legislation. And there’s been lots of lobbying, according to many of the Michigan lawmakers interviewed. 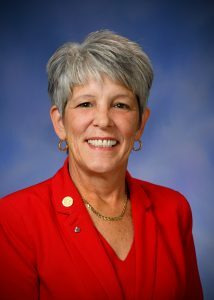 Rep. Sue Allor, a Republican from Wolverine, said she had been asked to attend three different seminars at various locations before finally being able to attend the seminar in Hawaii in August. Allor said she paid for her own travel costs but did receive two Institute-paid nights at the Westin, an oceanfront resort with an Arnold Palmer-designed golf course and where rooms are listed online for about $300 to $400 a night. A flight to Hawaii would cost at least $800, according to discount fares online; it’s unclear how much the Institute paid for travel or lodging. National Popular Vote is urging states to join forces in a compact that would give each state’s Electoral College votes to whichever presidential candidate wins the national popular vote, even if that state’s popular vote went to another candidate. It’s a sentiment favored by many Democrats following two elections ‒ in 2000 and 2016 ‒ in which the Democrat won the national popular vote but lost in the Electoral College. If enough states representing a majority of Electoral College electors — 270 — join the compact, the U.S. would select its president through the popular vote instead of the current system, which relies on state-by-state electoral results. Those behind the popular vote effort include at least two people with Michigan ties. The first is former Michigan Republican Party Chairman Saul Anuzis, listed in 2016 as an Institute vice president. The group reported paying Anuzis $120,000 in its tax filing that year. The National Popular Vote, meanwhile, paid a reported $120,000 to Coast to Coast Strategies, an Anuzis-connected firm, on its 2016 tax filing. Anuzis didn’t respond to a request for comment. The other person with local connections is Koza, who studied at the University of Michigan but is better known as co-inventor of the rub-off instant lottery ticket, according to his online biography. He was listed as National Popular Vote chairman in 2016. The two groups’ lobbying and educational efforts appear to have had their intended effect. When a Senate bill to have Michigan join the national popular vote compact was introduced back in 2015, only five Democratic senators and zero Republicans signed on as sponsors. In 2018, 11 Republican senators and 10 Democratic senators signed on as sponsors. State House and Senate committees took the bills up for discussion on Sept. 6 but did not hold votes on whether to advance them. Many lawmakers who attended the seminars declined to give statements on the record to MCFN or Bridge. Several argued that the trips simply advanced their knowledge of how the Electoral College works and didn’t influence their stances in any way. “It’s a serious issue,” said Rep. Gary Howell, a Republican from North Branch, who said he attended the Hawaii seminar the weekend of Aug. 17, when the Legislature was on summer break. Howell said he too was approached by the Institute three times in recent years about attending an event, including offers to fly to Puerto Rico and California. He initially declined, he said, because “it didn’t seem like a likelihood of (the popular vote proposal) being considered” in Michigan. Rep. Gary Howell, R-North Branch, said he was initially resistant to attending a pro-popular vote trip. But he said he eventually came to believe that it was an issue that the state would likely be voting on so he went to better educate himself. Howell says he eventually concluded that decisions on whether to join with other states promoting the popular vote would come up for votes in the Legislature. He said he felt it was his responsibility to understand the issue and the ramifications of the potential change. 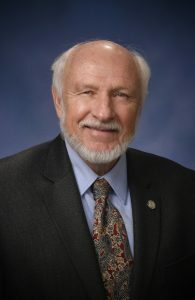 Indeed, Howell said he expects the Legislature to take up the measure during the lame-duck session after the November elections and before new members come into office. “From a strictly partisan perspective,” Howell acknowledged, “it's hard to understand why Republicans would be in favor of the measure," since determining the victor of a presidential election by Electoral College is thought to benefit Republicans. A similar thought also crossed the mind of Gary Glenn, a conservative House member from Williams Township, who said he didn’t attend the seminars. He called it a “blunder” for Republicans to take up the national popular vote bills in the months before an election. He suggested the bills could anger the Republican Party’s base. Howell said he and his wife had previously scheduled a nine-day trip to Hawaii and, while they were there, decided to take in the seminar. Howell said he and his wife paid for their own travel and only benefited from the Institute funding two nights at the hotel and meals during the seminar. Ultimately, Howell said, he doesn’t favor the popular vote proposal. "When all is said and done, I was not convinced," Howell said. "Michigan gets a good deal of attention because it's a swing state." “I do understand the issue better,” he said, but “I still cannot support” the popular vote effort. News of the Hawaii trip first broke on Sept. 9 — four days after bills to have Michigan join the compact were introduced in the Legislature and three days after a House committee and a Senate committee took testimony on them without voting to advance them. Brandon Hall, the conservative blogger, alleged on his website West Michigan Politics that Hildenbrand, from Lowell, and Kelly, from Saginaw, were “believed to have attended” an August trip to Hawaii before sponsoring the legislation in September. “Republican grassroots activists strongly oppose the legislation, as many believe in the Electoral College system our Constitution prescribes,” Hall warned at the time. On Sept. 24, MCFN received an anonymous letter with a document listing 20 Michigan “attendees” of the educational seminar at the Westin Hapuna Beach Resort. The list included 18 Republican lawmakers — 14 House members and four senators — and two legislative staffers. Of the people 20 on the list, MCFN and Bridge confirmed the attendance of 10. 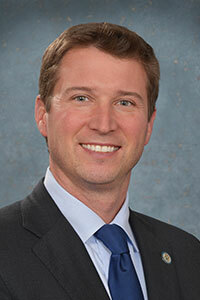 Scott Hummel, policy office director for House GOP leadership. An 11th person on the list, Kelly, confirmed to the Detroit Free Press he attended the seminar. Multiple sources also confirmed that Rep. Jim Lilly, of Macatawa, attended; he declined comment for this report. Then there is Hildenbrand, who along with Kelly was named by the blogger back in September. Approached inside Senate offices in Lansing, Hildenbrand said he wouldn’t respond to a story from a blogger, a reference to the West Michigan Politics report. He then said he would neither confirm nor deny he went on the trip, though he added that he does attend educational conferences. Sen. David Hildenbrand, R-Lowell, says he will neither confirm nor deny that he went on the trip to Hawaii with other Republican lawmakers in August. The MCFN and Bridge are not naming other officials on the list because their attendance could not be independently confirmed. We will update this report if and when their names are verified. Other details also remain less than clear. Some lawmakers said they paid their own way, or for part of the trip, but their accounts could not be confirmed. Also unconfirmed is how many lawmakers or staff brought a spouse or guest. Spouses were responsible for their own travel expenses, according to one document obtained as part of the investigation. Chatfield, who is expected to be the next House speaker if Republicans maintain control of the chamber, confirmed his own attendance, noting that he and his wife scheduled a 10-year anniversary trip in Hawaii prior to the seminar. “I attended the legislative briefing and paid my own way,” he said. As for the Puerto Rico seminar in spring 2017, House Elections and Ethics Chair Aaron Miller, of Sturgis, and Meekhof, the Senate Majority Leader from West Olive, both attended. Miller first confirmed his attendance to Gongwer News Service; Meekhof, through a spokesperson, confirmed going to Puerto Rico. One lawmaker, who declined to be identified citing a fear of retaliation, said the trip didn’t influence him in any way. He and some others said they ended up supporting the popular vote compact. Rep. Victory, of Hudsonville, said he had nothing to hide, calling the Hawaii seminar an “informative conference.” He noted that it took place outside of prime tourist season in Hawaii, which might have made the locale less expensive than had it taken place in the continental United States. Under Michigan law, registered lobbyists (not lawmakers) are required to report when they take lawmakers on trips valued at more than $800. The Hawaii and Puerto Rico trips do not fall under that law because they were paid for by the Institute, the educational charity, and not its lobbying arm. Michigan is the only state with a full-time Legislature that doesn’t require lawmakers to file personal disclosure forms about their personal financial interests. In some states, including Ohio and Wisconsin, these disclosure forms require lawmakers themselves to reveal free trips they benefited from during the year. Michigan’s patchwork of ethics and disclosure laws earned the state an “F” in government ethics and transparency in 2015 from the Center for Public Integrity, a Washington D.C. nonprofit and news organization. “When lawmakers or any government official has travel expenses paid for by non-government entities, it should be disclosed,” said Jenny Flanagan, vice president for state operations for Common Cause, a Washington D.C. nonprofit that advocates government reform. Common Cause, often identified with liberal causes, supports the national movement to award the presidential election to the winner of the popular vote, Flanagan said, but was not involved in the Hawaii trip or with the Institute for Research on Presidential Elections. Rules on public officials accepting (and disclosing) money for travel vary significantly nationwide. Hawaii itself bans lawmakers from accepting trips “in which it can reasonably be inferred that the gift is intended to influence the legislator or employee in the performance of the legislator's or employee's official duties,” according to the National Conference of State Legislatures. Out-of-state junkets and seminars for lawmakers aren’t altogether uncommon, said Kytja Weir, state politics editor of the Center for Public Integrity. And they can be very effective. The Center for Public Integrity this year published an investigation that found that legislators from 27 states proposed bills calling for a new national constitutional convention after two Tea Party-related nonprofits paid $130,000 to fly 120 lawmakers nationwide to Colonial Williamsburg, Virginia, for a mock constitutional convention, complete with historical re-enactors. “Transparency is quite important,” said Oguzhan Dincer, a professor of economics at Illinois State University and director for the Institute of Corruption Studies, which is publishing a study next week on the public’s perception of corruption in state governments. National Popular Vote (NPV) stinks to high heaven - - - it is a blatant attempt to circumvent the Electoral College which is specifically established in our Constitution to blend the effect of popular votes and weighted interests of individual states. Let proponents of a national popular vote do anything they want, as long as they do it with a Constitutional amendment. If they succeed in passing an amendment, I would stand back and salute. If they don't, I will fight them at every turn. For starters, National Popular Vote is an interstate compact, and as such, in order to become effective it needs approval of both houses of Congress under Article II, Section 10 (the last sentence of the section specifically applies). If that is not enough, as a major change in the way we elect presidents, the Supreme Court could very well find NPV completely unconstitutional without an amendment, Congressional approval or not. It's a compact, not a national law. States are left to their own accord as to how they assign their electoral college votes; why is voting with the national popular vote an invalid option? Or is this one of those State's Rights you don't believe it? I did not find an Article II, Section 10, in any of 3 places I looked, the US Government archives, the Cornell LawLibrary, nor a LexisNexis booklet. Article II only has 4 Sections. It is interesting to note that the VNP proposal, which I by the way strongly disagree with, does not address how electors are to vote, but only how districts are drawn. The US Constitution does not dictate how a state appoints it’s electors, and how each should vote. Maine, and I believe Montana, direct that electors vote along the lines that somewhat follow popular vote totals, at least within a legislative district. How they vote seems to be up to each of the states legislatures. I agree that the electoral college is vulnerable, but only if a majority of states switched from a winner take all to a by legislative district process. We would still have an electoral college, but how each elector votes would be altered. Arjay - - - please excuse my error. I meant to say Article I, Section 10, Powers Prohibited of States - - - the relevant wording of which is in the last sentence as follows "No State shall, without the Consent of Congress, lay any duty of Tonnage, keep Troops, or Ships of War in time of Peace, enter into any Agreement or Compact with another State, or with a foreign Power, or engage in War, unless actually invaded, or in such imminent Danger as will not admit of delay." So, states acting individually certainly have an absolute right to apportion electors any way they want, but banding together in an interstate compact requires approval of Congress. Furthermore, the historical record of interstate compacts in the country is that they typically involve rather parochial regional issues, things like water rights for rivers, boundary disputes, and sharing natural resources. They have never involved major changes in the way the country picks the president, which is spelled out in great detail in the Constitution and its Amendments. For that reason, I think NPV might well be held unconstitutional on its face by the Supreme Court, which could hold that only a Constitutional Amendment can be used to effect such a momentous change. For those last two points - the seminar was bringing together legislators from many states because the issue is being addressed via state-level legislation. So most attendees would be traveling "out-of-state" unavoidably. And a resort in Hawai'i isn't that much different from resorts or convention sites anywhere else - Aspen, Palm Springs, Mackinac Island - I'm not sure that the travel expenses are significantly greater than travel to any other resort area, are they? [I guess we won't know.] We don't know if the "educational content" warranted a multi-day stay, and perhaps we could insist that the content should have been shared remotely via Skype or GoToMeeting. But barring those options, I think to focus on "they went to Hawai'i" or "they went out-of-state" distracts from the other, more worrisome points. I can understand The Bridge's rationale for not wanting to publish the entire list of attendees and can respect that choice. What I cannot respect is the fact that given the amount of communications sent out by each and every member of the Michigan Legislature on a regular basis, they or their Chief of Staff, cannot (will not) show a modicum of integrity and just simply confirm or deny their attendance to this junket! One would think that given last Tuesday's Rally against the NPV at the Capitol, they would've taken notice that this issue is now on the Grassroots radar. That's at least one week for them to reach out to The Bridge and put everything on the record. Hiding from it does not help their reputations. "Gary Wolfram, a Hillsdale College professor of economics and public policy who also participated in the Hawaii seminar and supports the national popular vote legislation, defended the getaways, saying offering a seminar in Hawaii was a “relatively inexpensive way” to get about 20 Michigan lawmakers together to discuss a topic." How hard is it to get even a VFW Hall in a place like Eagle or Emmett, cart legislators down the street (literally speaking) and present the same information? Better yet, why would the location matter? Are the facts any different when presented in Honolulu, than say, in Howell? Even an economics professor would have a hard time defending the total costs between the above and going halfway around the planet. NPV backers, of which I'm not certain that its totally done by the democrats given the names of establishment republicans who have either gone to Hawaii or attended other NPV "informational" meetings, either do not fully grasp the scope of what they are promoting or are just lying to us hoping that we're not smart enough to catch onto their scam. The NPV is a backdoor attempt to short-circuit what the Framers had intended for our Presidential Elections making it into a pure majority rule, undermining the intent of choosing our President (see how the 17th Amendment screwed up things for the states in Congress) and essentially negating the votes of citizens within individual states. What's wrong with that, you might say? In 2004, the popular vote in California went to John Kerry. If the NPV were in place back then, ALL of California's vote would've gone to George Bush. Remember what Antifa did in just Berkley and Portland? Those " anti-democratic electoral mechanisisms" are what was included in our Constitution and used ever since the founding of our republic (NOT democracy ). The Founders did not want mob rule when it came to presidential elections. Have you considered that a system of government established for and by white landed male gentry 250 years ago might be structured to keep the elites in place to the detriment of the larger populace? Does it not strike you as odd that no other democracy (or republic, if you insist on arguing semantics instead of substance) utilizes a system like the US? When we "exported" democracy to Iraq, why didn't our advisors recommend an electoral college? And why is a tyranny of the minority any better than tyranny of the majority? And you believe that fairy tale is still true today? I'd highly recommend taking a trip to Antietam or Gettysburg and re-examine that position. DON'T read about it. Go there! One, I don't subscribe to the Pax Americana Theory. That is something that multiple figures and organizations throughout our history had warned us about numerous times. The results should speak for themselves. Two, even when they did try to replicate it, they left out more than a few ingredients. That's why countries like France or Liberia (or even Iraq) didn't get it right. Oh yeah, and your "tyranny of the majority" didn't resort to this when they didn't get their way in our country. I really don't know what point you're trying to make here. Can you present a cohesive argument, or is vague platitudes and videos of anarchists breaking windows the best I'm going to get from you? You brought up points, I addressed each and every one of them for you. If you need me to hand-hold you through a more detailed explanation, then this isn't the forum for you to post on (or make wild assertions). Mob rule? As in democratic representation? One man, One Vote? I once more appeal to you to withdraw your support of the NPVIC and to vote against it. We oppose the National Popular Vote Interstate Compact and any other scheme to abolish or distort the procedures of the Electoral College. An unconstitutional effort to impose National Popular Vote would be a grave threat to our federal system and a guarantee of corruption, as every ballot box in every state would offer a chance to steal the presidency. We urge state legislatures that have voted for this proposal to rescind their approval." Your sponsorship of the NPVIC is a direct violation of the official position taken by the National Republican Committee. relationship with the Republican National Committee AND SHALL ASSIST THAT COMMITTEE IN THE ACHIEVEMENT OF ITS GOALS," allcaps added. One of those goals, per the NRC platform, is the DEFEAT of the NPVIC. You committed to uphold the platform and goals of the NRC; you are in violation of that commitment, bringing your personal integrity into serious question. "A Senator shall not accept anything that will influence his or her official act, decision, or vote." You accepted an all-expense paid trip to Hawaii, courtesy of the national organizers of the NPVIC, a trip specifically designed to solidify support for this compact and to influence those who were still reticent to support it. It appears that the bill you sponsored was written at that time, with the assistance of the national organizers. It is my belief that this trip constitutes a violation of Section 1.303 of the Senate Rules regarding improper influence. If you value your personal integrity, then I once again urge you to withdraw your support for the NPVIC and to vote against it. If this was concerning democrats the bridge would not be reporting it. I can NOT for the life of me understand how ANY Republican would go on record supporting electing the potus by popular vote. Bones, the biggest issue and purpose of the EC and 2 Senators per state, that you seem to disregard is the fact that we as states have very different interests in almost every issue. These two features are placed in the Constitution to in fact protect these interests and prevent a minority of states from being run over by the insistent majority. We were designed to allow and maintain state's ability to have the independence in how each state dealt with their perceived problems rather than the one size fits all mandated from Washington approach we increasingly face (Obamacare Etc.). These types of proposals do nothing but ratify and strengthen this top down push and it's embarrassing that any so called Republican would give this idea 3 seconds of consideration. This is what I find troubling in this article. So instead, we have an insistent minority actively hurting the majority. Cool. What a great system. Why would we ever want to change that? Clearly California ,Vermont and a majority of states are free to do pursue any ideas they want and wish to pay for, as was said States are the laboratory of Democracy. Rather than Ca, Il or NY shoving their wishes down the whole nation, majority of population or not, having a minority of states being able to say no thanks and go ahead and do it yourselves is far from undemocratic. Not that being democratic is any great aspiration, after all in my world, the fact is the majority is usually wrong!! Like California trying to enforce net neutrality on their own and getting sued by the justice department? Or the Trump administration opposing California setting it's own car emission standards. Why does support for state rights break down when a state is trying to make it's own regulations? Yes, 'the best legislature money can buy'. Us little people can't compete with the Chambers of Commerce, big corporations, etc. so we have no voice here. Doubt we'll ever see the Republican legislators eager to sponsor a bill to get money out of politics. Like never. Just another way to funnel money.. period. I donate cash to the organization... name my intended beneficiary and voila they get a free vacation... or other benefits. Popular vote is the mcguffin ... a prop to distract you from recognizing payola. Nobody in this story cares if it makes it through the legislature. As a matter of fact it is best if it doesn’t. A well they can return to some day. There was a reason this 'seminar' was in Hawaii - they wanted to get as far away from reporting, the voters, etc. as they could (and still stay in the US). Just one more attempt to hide their motives and agenda from voters. Politicians only THINK that traveling will hide them from scrutiny. And it's now so much easier to record them (and post online). Splitting the split states. Isn't this the issue? The nation is not going to end the electoral college so lets get the swing states to give us 40, 45, 48 percent of the vote. At the same time the solid red and blue states go all in. We need the same rules in all the states. We need a national registration of all voters for national positions, adequate time to vote, secure vote counting and recounting if necessary. What we don't need are ID laws, voter suppression, and splitting the swing states electoral votes. And yes, we do need public transparancy about meetings like this one where the quid pro quo was obviously - we paid for your trip so you listen to our pitch. "...a Republic, if you can keep it." The 17th amendment eviscerated state participation in federal government. Now they want to finish the job and eliminate the electoral college, without amending the Constitution. Disgusting. I can't imagine what attracts our Republican representatives to this mob rule. California, for example, already has mob rule (the mob is the majority), and look how well they're doing. (No, Silicon Valley and Hollywood don't count). Mr. Franklin realized that when a majority are more interested in getting from the government than contributing, and a power cabal capitalizes on that for their own aggrandizement, we’re screwed. Many of these men claimed to be "conservatives." Their actions and claims they were mostly in Hawaii for their anniversaries and that their "wives" paid for their trips leaves one snickering. The facts suggests that the "Institute" paid for at least one hotel night and meals, if not more to our Michigan legislatures. Strange that a simple Email, brochure, or a meeting in Lansing with the Institute could not have resulted in HR 6323 being submitted to committee! I wonder when Michigan citizens will again reward these "special" legislature with their vote?